How much do you know about behavior prediction technology? For those of you who think of it as a relatively new marketing tool, you might be surprised to learn how widely—and effectively—it’s already being utilized. One excellent example is Amazon.com. When consumers search for or order merchandise from Amazon, a complex algorithm analyzes their actions and identifies which products and brands they’re most likely to buy and when. It factors in activities that include the length of each online visit, specific product views, wish lists, shopping cart activity, and more. Amazon uses these details to anticipate and promote sales before consumers even begin to look for solutions on their own. This game-changing technology can be applied to all industries. 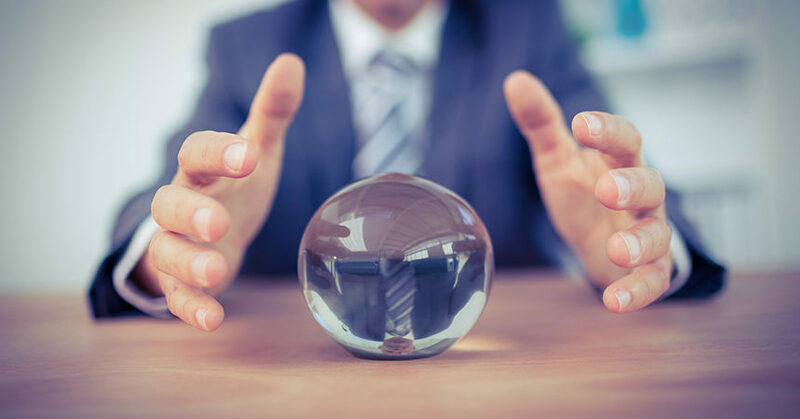 Automobile dealerships that rely on traditional selling approaches can also greatly benefit from behavior prediction technology to provide insight into who is ready to buy a new car, and the reasons why. It enables dealers to create and deliver more focused, effective, and profitable selling efforts. And it helps sales teams engage their best prospects with personalized, microtargeted marketing offers, unique incentives, and information. The bottom line for the dealership is increased sales, greater retention, and enhanced overall customer experiences. By quickly, easily, and accurately identifying which customers are a dealer’s best prospects, all touch points and incentives can be perfectly timed and relevant—from make, model, and features to prices, deals, and leasing vs. buying. This adds value because consumers want their car-shopping journeys to be personalized, time-saving, transparent and, of course, gratifying. How can dealerships personalize customer experiences? First, they must understand their local markets and pursue their most viable prospects. Reaching out to the right customers at the right time with relevant messaging and unique incentives is vital to closing more deals and building greater loyalty. Many retailers utilize data they already have—or that can be easily obtained—from existing sources, including basic contact details, vehicle interest, purchases, and service history. Making the data digestible: True, the more information the better, but if there isn’t a concise, easily accessible way to identify and engage customers who are most likely to buy, then all that data is worthless. Understanding your audience and pursuing only the most viable customers. Reaching out at the right times with personalized information and offers. Investing in behavior prediction technology solutions. Vendors that excel at collecting and analyzing data, and then presenting it through targeted personalized communications, can be extremely beneficial—and more importantly, highly profitable. The following real-world examples demonstrate what a strong impact behavior prediction technology can have on dealership business. In the first month after implementing behavior prediction technology, Audi of Tulsa, Oklahoma, sold as many cars as in an average three-month period. The dealership’s open rate for promotional emails rose to 39% (far above the 27% industry average) and its click-through-rate (CTR) increased to 8% (industry CTR is just 3.7%). Plus, the dealership’s service revenues grew significantly. In fact, one-third of sales made to new customers were attracted by behavior prediction technology. Meanwhile, BMW of San Francisco, in its 40th year of business, chose to innovate its sales operations by investing in behavior prediction technology. Almost immediately, the dealership improved its sales by about 20 cars per month. It became the No. 2 dealership in the region, with a 46% retention rate—the highest in Northern California. It’s simple: Dealerships can provide a superior customer experience and save money by targeting the most promising customers from the get-go, rather than wasting time, effort, and dollars on a shotgun marketing approach. Gratifying customer experiences are more likely to produce happy and loyal customers who will buy again in the future, and also recommend the dealership to friends and family. Johannes Gnauck is co-CEO and founder of automotiveMastermind, the leading provider of behavior prediction technology and marketing automation technology for the automotive industry. automotiveMastermind is a part of IHS Markit. automotiveMastermind utilizes behavior prediction technology to amplify dealer partners’ sales efforts. Customer data is simplified into a Behavior Prediction Score (BPS), a reliable ranking from 0-100 based on how likely a customer is to buy. The BPS serves as an instantly accessible identifier for the entire dealership sales team, so they can engage promising customers with personalized talking points and relevant incentives. The two dealerships cited turned to automotiveMastermind solutions to dramatically improve their sales and profitability. Many others are doing the same. Learn more about how to implement and support automotiveMastermind’s behavior prediction platform at www.automotivemastermind.com. The Digital Dealership: Are You Ready?